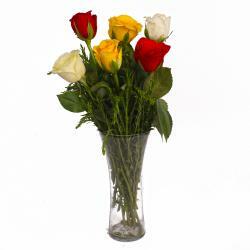 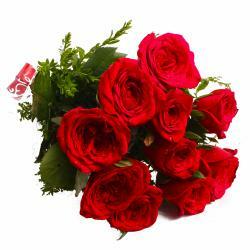 Product Consist : Six Muti color Roses with green fillers in Cellophane Wrapping with Ribbon Bow on it. 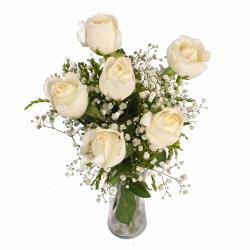 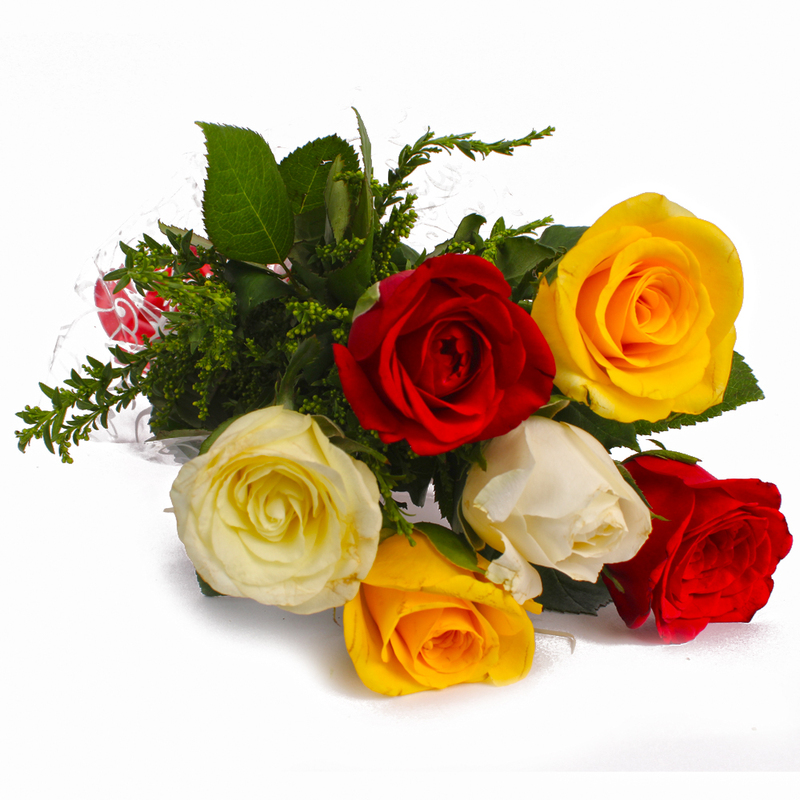 If you want to send something as ethereal as flowers then send this bouquet that is filled wtih colorful roses beautifully hand tied, this spectacular flower bouquet will help you to convery your deepest feelings to whomever you want to send in India. 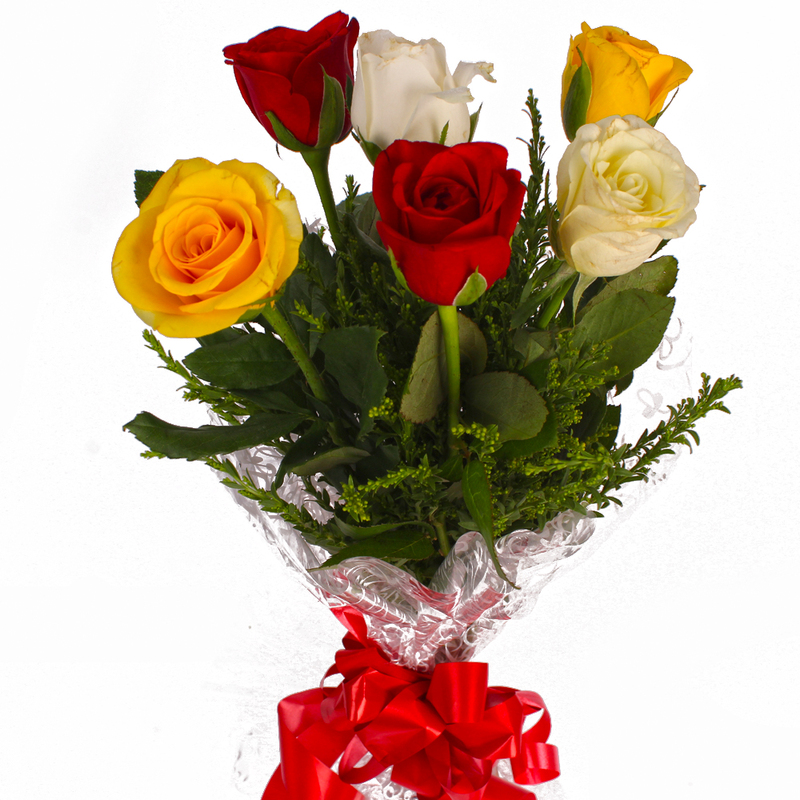 You can send this amazing flower bouquet on any occasion and festival like Birthday, Anniversary, Sorry, Onam and Parents Day with other Gifts to India through Giftacrossindia. 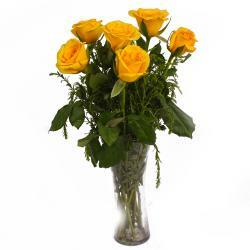 Product Contains : Six Muti color Roses with green fillers in Cellophane Wrapping with Ribbon Bow on it.